What can this tree teach me? I am not a botanist or a horticulturist, just a keen and irregular gardener with a passion for plants and trees. I am reflective by nature and often draw on my experiences outside formal education, as well as scholarship, to reflect on and enrich my educational philosophy. This post is about something that happened in my garden this summer. I won’t be answering the question in the title but I’m hoping that writing this post will take me a step along the way. 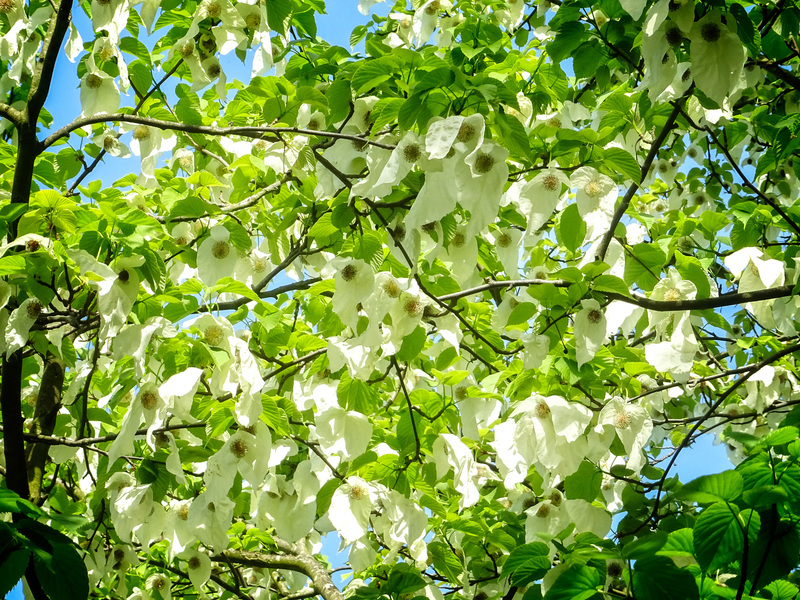 In May/June of 2002 or 2003, I visited Newby Hall Gardens where there is a glade of Handkerchief trees. The day of my visit some of the white handkerchiefs were fluttering to the ground and I was smitten. I longed to have one in my garden and was delighted when I found a sapling small enough to fit in the car at a Nursery. I brought it home, planted it carefully and waited for it to ‘flower’*. I waited. 10 years later, it flowered. I thought that it was mature enough to flower and would do so each May but no – it seemed to have been a one off. This summer we have had the worst drought in nearly forty years. Many shrubs and plants have suffered, some of them dying. 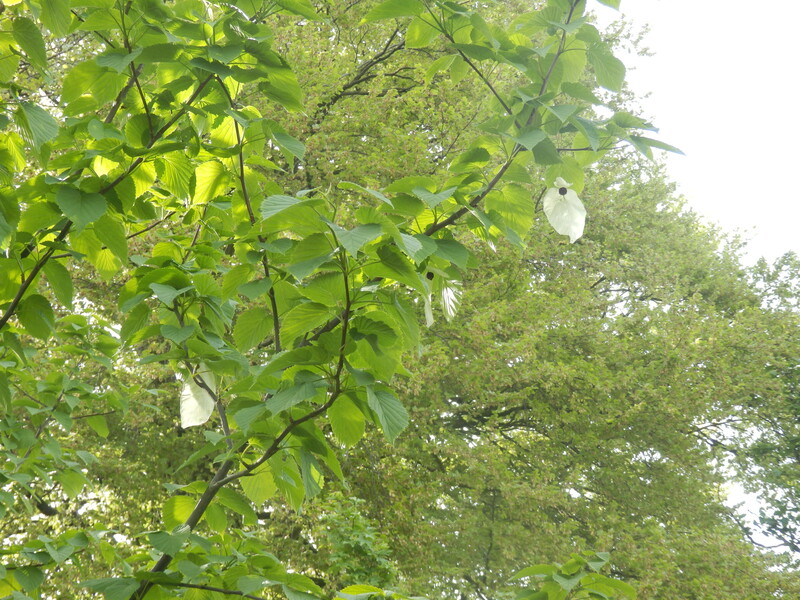 In the last week of July, I noticed that the leaves of the Handkerchief Tree started to shrivel over a few days. I consulted a local nurseryman who told me that this was the tree’s response to the stress of the drought. Trees lose moisture through transpiration at the leaves. He said the leaves would fall and a second growth of smaller leaves may come in September. The good news was that we were unlikely to lose the tree. 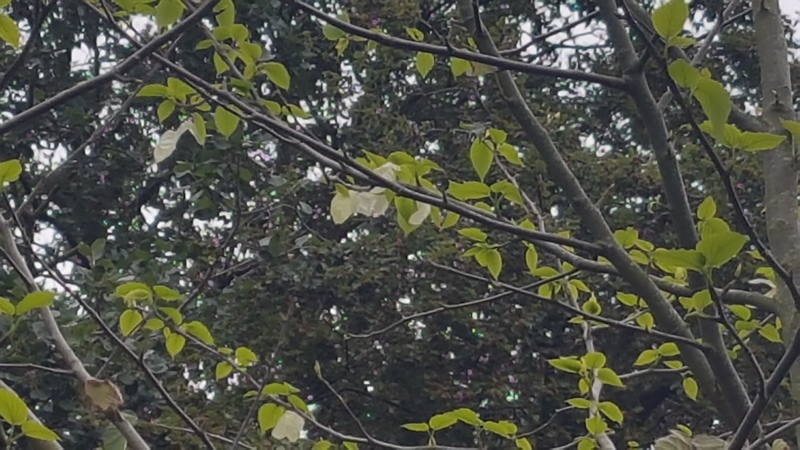 The same day, the drought broke with storms and most of the leaves came off the Handkerchief tree. And the nurseryman was right, we have noticed new leaves growing in the last week or two. And to my astonishment there were flowers! I think this tree has story to tell me about self-care, protection, recovery, re-growth and blossoming. I’m listening and watching. * They are bracts rather than true flowers with petals. It feels quite romantic by reading your post. Very beautiful post.